Today’s informed customers demand better customer experience. Not only is it imperative to build an effective customer relationship management (CRM) strategy to keep your business afloat in today’s economy, but maximizing customer experience and satisfaction is crucial to success. Companies are no longer simply deciding between cloud-based and on-premise CRM as the focus has shifted to the caliber of the application and its ability to help them with their jobs and suit organizational needs. 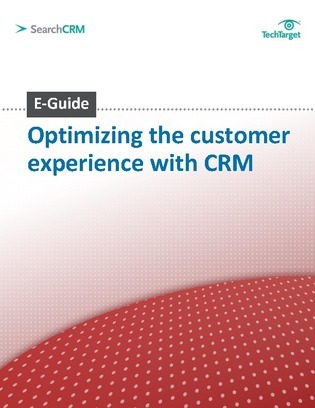 In this expert e-guide, you will discover best practices for creating positive customer experience and choosing the right CRM application for your business.